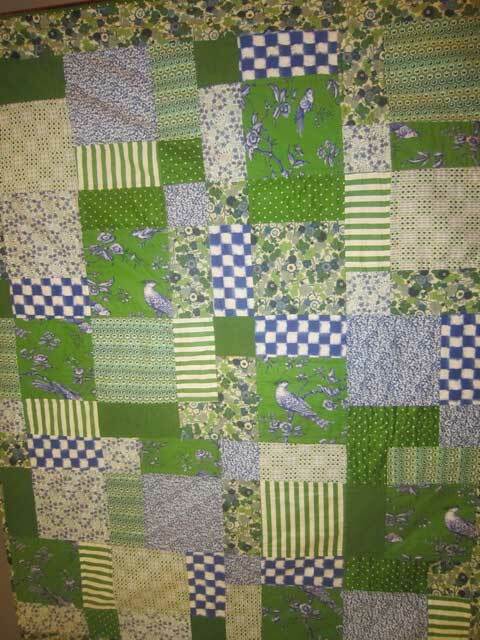 Jayne has made by hand this beautiful patchwork quilt for a double bed for my 90th. birthday. She took lessons from a professional quilter and finished it in three weeks, a miracle to say the least, as she she had never quilted before. A little time before she fell down steps onto concrete and shattered her right arm and hand. It needed 3.5 hours emergency surgery at midnight to repair the damage and add a huge metal plate into her arm. She needs more surgery next Monday to remove the plate and do more repairs, so how she managed with that hand is quite beyond belief.